I'll be starting an internship at a TV production company on monday. Even though I'm looking forward to meeting new people and learning loads of new stuff, I also feel quite anxious. Whenever I feel overwhelmed or anxious, two things never fail to calm me down: Baking and chocolate. 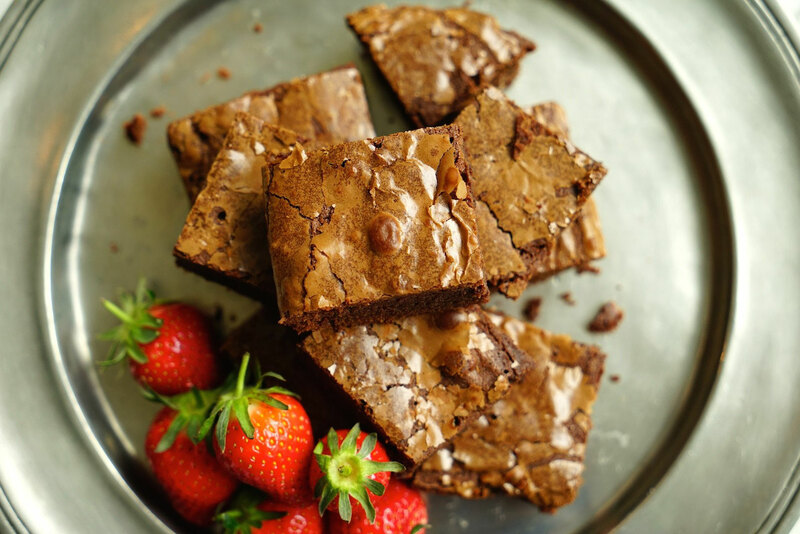 Baking and chocolate happens to equal delicious brownies. I call them the ultimate brownies, because they are everything I look for in a brownie: fudgy, dense, very chocolatey and moist. Funnily enough I got this recipe from someone I met during my last internship. I admit a lot of begging was involved. 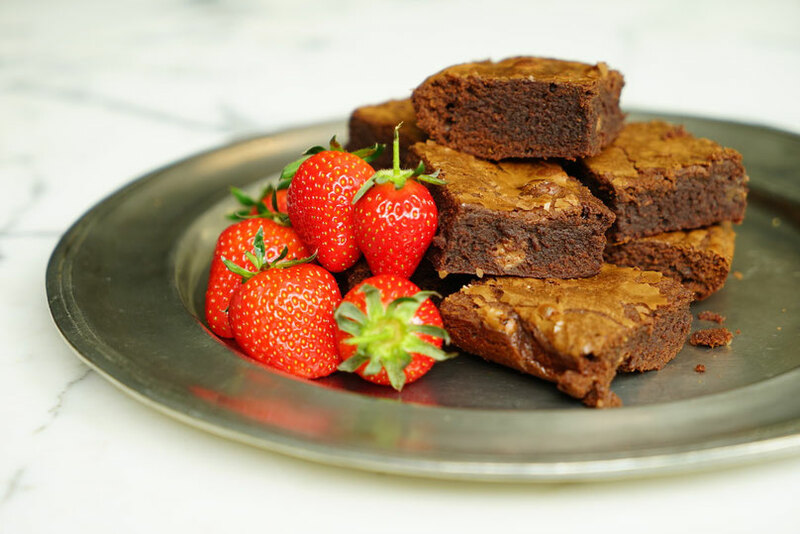 I now have made these brownies lots of times and they never disappoint! In fact, people like the brownies so much so that they now beg me for the recipe :) I have changed the originale recipe up a bit, by replacing half of the white sugar with light brown Muscovado sugar. This adds a slightly caramel-y taste and also keeps the brownies very moist. Of course you can add nuts, chocolate chips or any kind of candy to the batter. I added some left-over easter eggs. Whatever you do, they turn out great everytime! Here's the recipe. Line a 30x15cm baking tray with baking paper. Let some of the paper overlap the edges of the tray, so you can easily lift out the brownies later. Melt the butter and the chocolate over very low heat, either on the stove or in a microwave. Stir the mixture until everything is evenly melted together. Let it cool. Beat the eggs with the two kinds of sugar and the vanilla on the highest setting with an electric mixer. The mixture should be thick, light and fluffy. This takes about 5 minutes. Add the butter and chocolate mixture to the eggs and combine with a wisk. In a different bowl, add the flour and the salt and mix to combine. Add this to the batter and fold it in. At this point you could add chopped nuts, chocolate chips or some kind of candy to the batter. Put the batter into the baking tray and bake it for about 20 - 25 minutes. Do not overbake!